While in Taupo briefly today we popped into a quilt show we saw advertised. 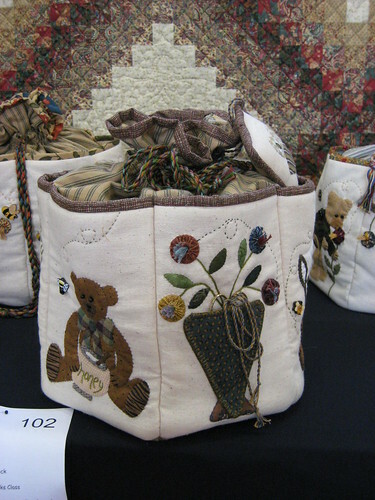 There was some wonderful quilts on display and the quilt bug took a big bite out of me. 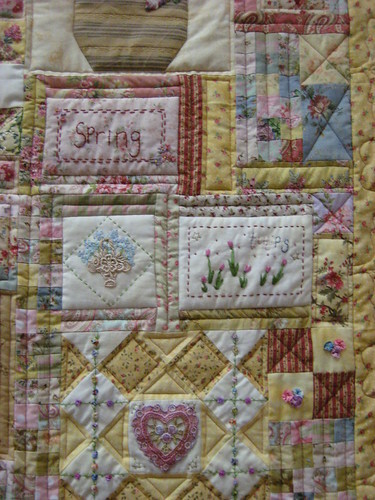 There are photos of some of the quilts here on my flickr page to remind me what I liked and by whom. 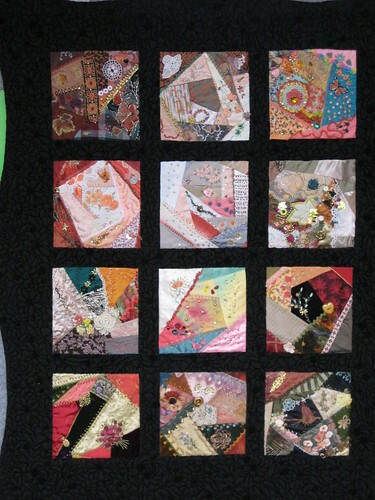 I have a huge yearning to do some Crazy quilting but really have to rein myself in from jumping into another new project. This is one of the mini sign quilts they had up all over the place, what a clever idea – although it took me a while to realise they were signs and not just cute little quilts. One of the store holders I encountered positively was Kalikokottage. 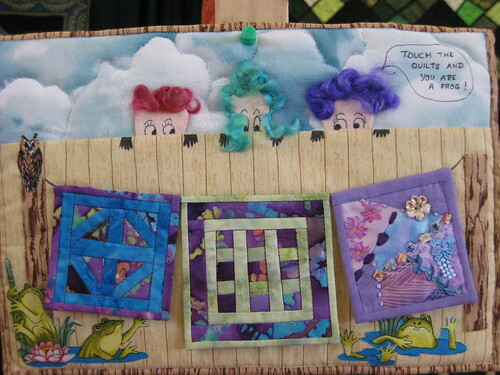 Who are responsible for the crazy quilt blocks bellow. This is one of their “Block of the month” projects and at some point I will attempt one. The other store holder who’s work I really like was Susan Claire Mayfield. 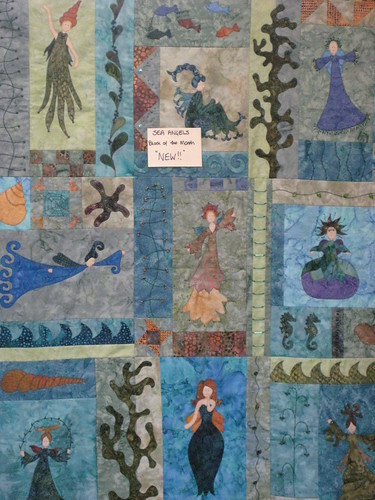 Her block of the month quilt “Sea Angels” is also just lovely in my opinion, and again it’s a quilt I would love to sign-up for.